Your Adventure Connection van will pick you up at 7:30am form your hotel Dreams Las Mareas. 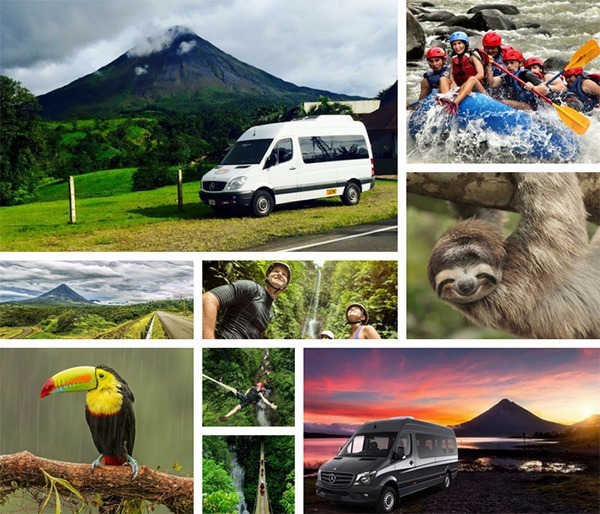 We'll pick you up from your hotel at and drive across the rustic Costa Rican back roads, through gorgeous mountains and quaint villages until we reach Tenorio. 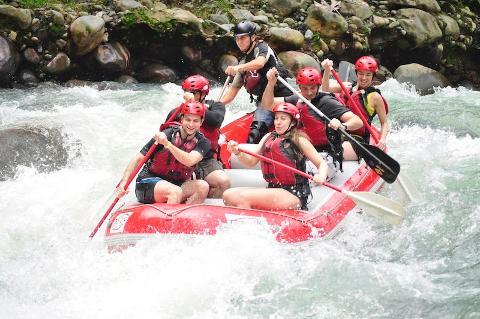 You'll then take a scenic 4x4 ride to the river put-in at the bridge over the Tenorio River. 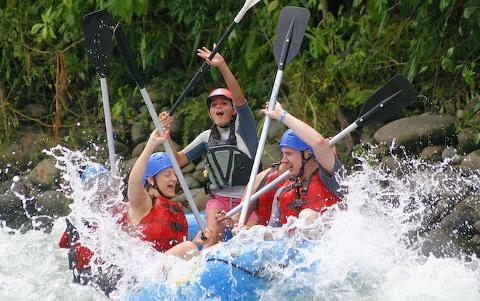 There your guide will give you the 101 on rafting including safety tips and technical instructions before heading on your 2.5 hour journey down one of Costa Rica’s most famous rivers! 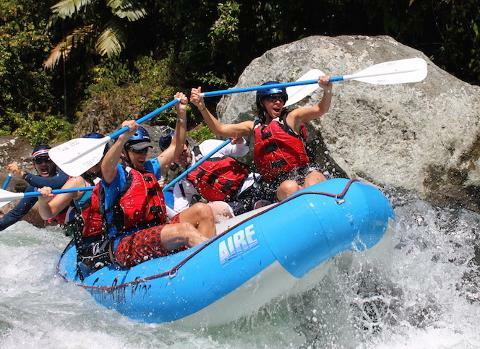 You’ll witness the impressive canyon of the Tenorio River along with many different types of flora and fauna- lush greenery, vines, birds, monkeys and other types of wildlife. 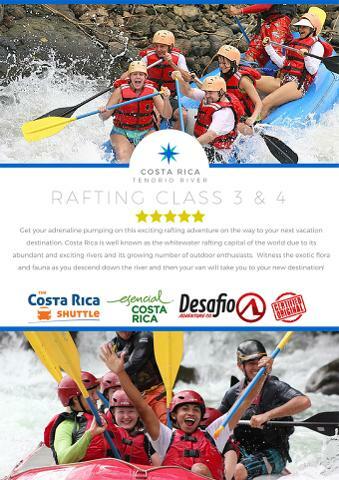 You’ll experience over 20 thrilling rapids, and finish the tour off with a chance to see the breathtaking Cascabel waterfall – a 10 foot drop! After the tour is over, you will have an opportunity to change your clothing, enjoy a delicious lunch and then head to your next destination!